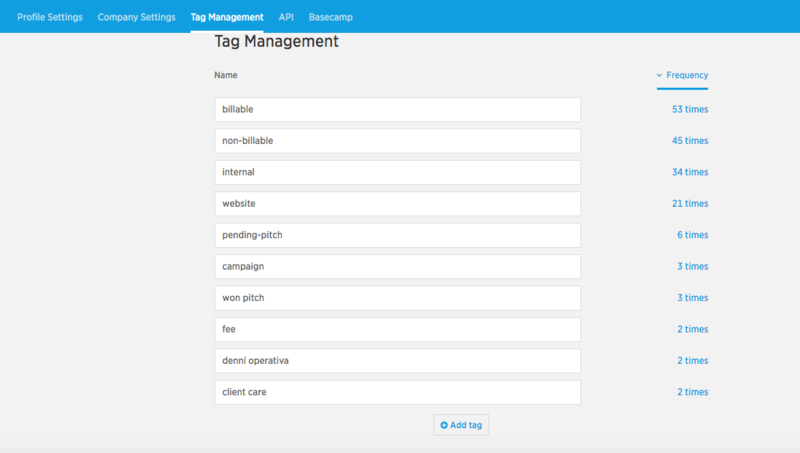 Learn how to manage your tags to harness the power of project tagging. It will prove incredibly useful when looking for specific info. 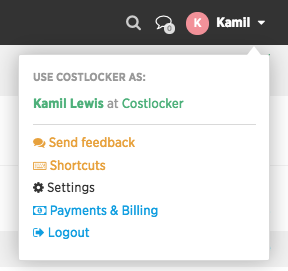 Managing tags in Costlocker is very easy. If you’re not sure whether to use tags, read about why it’s important to tag your projects. All tags can be created, edited or deleted conveniently in a single place. Click your name in the top right corner and select the Settings option. Then select the Tag Management tab, where you’ll find a list of all your tags. You’ll even see how much these tags are being used (Frequency).